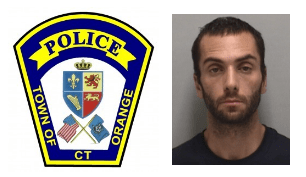 On August 18, Orange police were dispatched to 393 Drummond Road in regards to a disorderly conduct complaint at 8:21 p.m. According to the report, Bruck K. Jelliffe, 34, of Milford was asked to leave the residence. However, he remained and continued to destroy property at the home. Jelliffe was taken into custody and charged with disorderly conduct, third-degree criminal mischief, and first-degree criminal trespass. He was held on a $2,500 bond and received a court date of August 20. On March 27, at 3 p.m. Alexander Cuzzocreo, 27, of 30 Prindle Road, West Haven, turned himself in at Police Headquarters after learning of a warrant for his arrest. 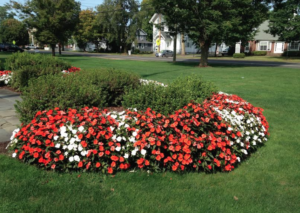 According to police, the arrest stemmed from an incident on March 9, 2013 when someone operating heavy equipment caused more than $13,000 worth of damage to the parking lots and lawns of a variety of businesses on Edison Road. Investigation led to the issuance of an arrest warrant charging first-degree criminal mischief, which was served on the above date and time. Cuzzocreo was released after posting $5,000 bond for court April 9.